Just five days after his death, a memorial for Edward Said was held in the graceful and huge chapel at New York’s legendary Riverside Church, an institution well-known for its social activism. The memorial was meant for family and friends, but the sanctuary was completely full, an indication of just how many people Edward counted amongst his friends. The first time I met him was in New York, some twenty years ago, when I was a graduate student. After a professor of mine introduced us, Edward immediately brightened up as he shook my hand and said: "Yes, we knew many Alcalays back in Jerusalem." Although I was born and grew up in the United States it was, literally, the first time I had met anyone outside of the small ex-Yugoslav family circle, and certainly the first time I had ever met anyone in public, who immediately recognized and felt a sense of familiarity or shared history with my family name which, after all, was somewhat prominent in the Levantine world that Said came from. Although he may have felt “out of place,” as he put it, in so many different ways, Edward also had a way of including worlds and combining them, both in the intellectual realm — through the intermingling of regions and languages and discourses — and in his own way of relating to people. Sometimes too much is made of the exiled intellectual, since intellectuals still remain in quite a privileged position. I’m sure Edward recognized this at many levels and I think it was one of the things that drove him to such demanding public work on behalf of those Palestinians whose fate was far less fortunate; this was, in some way, the wages of his exile, the debt he felt needed to be paid by his own good fortune. Over the years we only saw each other occaisonally but often enough to keep up with new work and changing concerns. But even these rare occaisons were memorable, and always made me aware of how cognizant Edward was of the kind of collective effort needed to move people’s thinking in different directions. After spending a long, sad day at his memorial, and seeing the grace and dignity with which his family is handling its loss, I must say that his presence will be acutely missed by all of us. A friend and colleague mentioned to me at the memorial that he felt very strongly that we needed to gather strength and solidarity because there would be real efforts to break down some of the achievements that have come in the wake of his work. This was also something echoed by Edward's son, Wadie, in his very moving reminiscences. I have absolutely no doubt that this will be the case. This is not to say that Edward's work was the work of a single person — it was, I think, very much a collective endeavor and there are many who have taken his example into various disciplines and areas, both in and out of the academy. But I do think that the present climate — of fear, suspicion, repression, and antagonism — does create a different sense of vulnerability that Edward's presence and international stature helped to fend off. His son mentioned that, although Edward was widely and prominently recognized throughout the world, recognition in the United States came late and begrudgingly. Of course, this was because of Edward’s role as a champion of the Palestinian cause, the single issue that, more than any other, firmly divides and subdues intellectuals in the United States. As I looked at the obituary in the New York Times the day following his death, I find myself echoing an emotion that I know was close to Edward’s heart: the fact that grief often comes with anger. Clearly, the obituary was setting the stage for discrediting Edward’s work and political positions and, before I knew it, I found myself writing an angry letter to the Times. Since I was sure they wouldn’t publish it (like so many letters before it, and even one that I co-signed with Edward and a few other writers, ironically, also about an obituary, then of Egyptian novelist Yusef Idris), I sent it out on e-mail and told people to circulate it if they felt like it. In the next couple of days I got at least a dozen letters from friends and colleagues thanking me for writing the letter, even if it wouldn’t get published. The instantaneity of creating a community, no matter how small, of concern over something very particular — this was very much Edward’s way. While I find no need to speak of his enormous achievements and pervasive influence in so many areas, I do think it is crucial to point out that perhaps Edward’s greatest influence came through his example. While Orientalism and Culture and Imperialism will remain truly important works, to be studied and debated for decades to come, I think Edward’s most lasting influence, as it touched the decisions of particular readers and students to think and act differently, came through his example of engagement with the concrete particulars of the Palestinian question. This engagement opened the way for other people to consider how they might combine activism with academic work, and it provided concrete tools for people to act in the world with, on the issue of Palestine, and on many other issues as well. One of the most unfortunate aspects of the kinds of attacks that Edward faced, over and above the personal effects of them, is that, like so many other issues in the United States, those kind of attacks created false dichotomies and false debates, the illusion of black and white issues, something that Edward studiously avoided, although he occaisonally left himself open to them. The real, and more interesting, debates that Orientalism, for example, provoked are only now beginning to happen, but they should have happened 20 years ago. This is one of those mechanisms of control that Edward fought so valiantly against but which, nevertheless, remains deeply embedded in the anti-intellectual atmosphere of North American discourse. 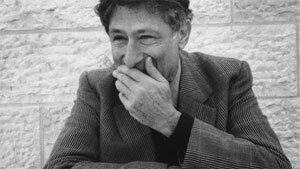 Finally, as I said in my angry letter to the New York Times, “Edward Said was a man of incessant hope and reason in a hopeless and unreasonable world.” This was borne out, with remarkable poignancy, during the memorial, as Edward’s other great passion beyond literature and politics, his love for music, was given center stage. The great conductor and pianist Daniel Barenboim played, along with some of the students that he trained in one of the collaborative projects that he had undertaken with Edward at the National Conservatory of Music in Ramallah. Barenboim’s insistence on getting through checkpoints to meet in master classes with his students drove the Israeli military authorities to exasperation. Barenboim and Said also worked closely to develop the West-Eastern Divan, an orchestra made up of musicians from throughout the Levant, a project for which they were awarded Spain’s Asturias Prize in 2002. Yet, knowing Edward, and seeing Daniel Barenboim on the verge of tears as he played a heartbreaking rendition of Bach’s Prelude in E-flat, I couldn’t help but know that their hearts lay in the work that didn’t always win prizes, in transmitting the powers of knowledge, discovery and beauty as forms of eloquence and dignity in the face of a cruel and unjust world.